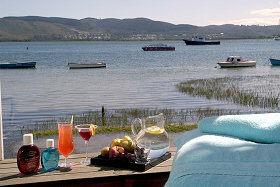 Le Spa Tranquille is situated on Thesen Island adjacent to "The Lofts Boutique Hotel". We can cater for up to 10 guests at a time. Early booking is essential. For our extended packages accommodation can be arranged from the wide choice of local Hotels , Lodges & Bed & Breakfast establishments in and around Knysna. See Price List for Special Packages. 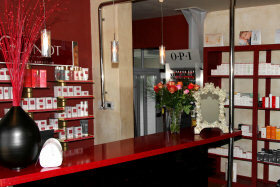 Gift Vouchers can be purchased at the reception area and are valid for 3 months. We accept Visa & Master credit Cards & cash. 50% deposit is required on all Spa Packages, to secure a booking. It is of utmost importance to arrive 10 min before your appointment time to avoid unnecessary delays. All appointment times includes a consultation. For late arrivals, treatment duration will be reduced. 6 HOURS advance notice is required for cancellations. 50% of the treatments will be charged if not adhered to. Where a deposit has been paid, the booking will be rescheduled or a gift voucher will be issued. Please bring comfortable open shoes & bathing costume. 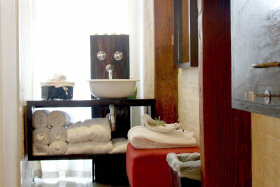 FEMALE GUESTS/clients are not to have any water treatments activities while menstruating for hygienic reasons. Please remove your contact lenses before each treatment. Cell phones must be switched off when entering the Spa premises. Please inform your therapist if you know or suspect that you are pregnant. Please inform your therapist of any medical conditions that you have or any skin allergies. Allow for sufficient time for digestion of food before you have a treatment. Consumption of alcohol is strictly forbidden before treatments. We are not liable for any damages or injuries or loss of personal possessions.